The new torrid freshness for real men. A slapping freshness of crushed mint leaves that leads to a salty skin accord, blowing hot and cold while spicy woods offer a sexual addictiveness to this biting frostiness. oriental, floral luxurious exotic florals, alluring and sensuous. Joop! 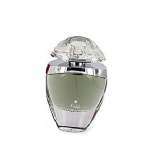 Thrill Woman by Joop! is a floral fruity fragrance for women. Joop! Thrill Woman is a new fragrance and it was introduced in 2009. Top notes are peach and lily; middle notes are mimose and iris; base notes are vanilla, tonka bean and sandalwood. An intimate, oriental, woody fragrance Captures all of the emotion & dignity Opens with the floral bergamont, rose, jasmine, vanilla & sandalwood Recommended for romantic wear. Joop! Le Bain by Joop! is a oriental floral fragrance for women. Joop! Le Bain was launched in 1989. Top notes are aldehydes, orange blossom, bergamot and lemon; middle notes are sandalwood, jasmine, lily-of-the-valley, cedar and rose; base notes are tonka bean, amber, patchouli, musk and vanilla. 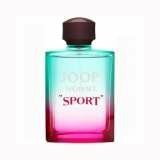 Launched by the design house of.Joop! in 1987, JOOP! is classified as a luxurious, oriental, woody fragrance. A fresh original & light interpretation fragrance.Embraces your skin with a blend of tropical wetness freshness & floral scent.Brings out a hint of femininity & confidence.